In French the word crow translates as corbeau. Playing with the name of the bird and the surname of a maternal ancestor—Lecorbesier—the young Swiss Charles-Édouard Jeanneret adopted the pseudonym of Le Corbusier. This name would go down in the history of modern architecture as one of the most influential architects of the 20th century for his evolving philosophy and his famous Five Points of a New Architecture. He used mathematics and geometry as pillars throughout his career. Le Corbusier (6 October 1887 – 27 August 1965) had no academic training as an architect; his inspiration came mainly from the visual arts in which he appreciated the rationalism of classical proportions, even rejecting cubism for being too “romantic.” His predilection for reinforced concrete—which gives the pieces greater ductility—would allow him to design works based on orthogonality. 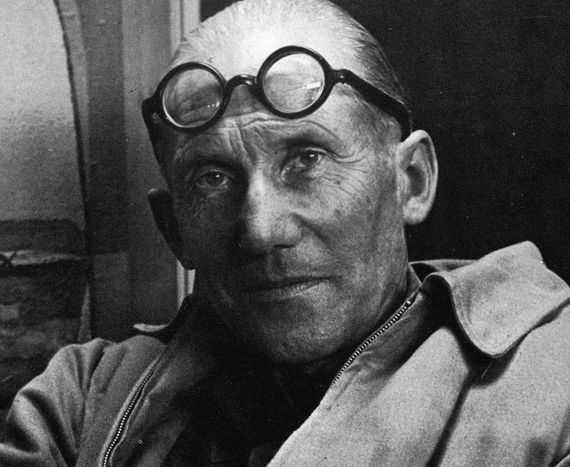 Le Corbusier is one of the most influential architects of the 20th century. Credit: Susleriel. In the book Towards an architecture (1923), Le Corbusier recognized the importance of geometry in other works he admired, such as the Notre Dame Cathedral in Paris (France), whose main façade includes the square and the circle. In this same book, the architect lays the foundations that will govern his career: the need for order to regulate the forms and the line as an integrating element. As Elsa Maria Gutiérrez Labory, professor of the Department of Graphic Expression and Architectural Projects of the University of Las Palmas of Gran Canaria (Spain), recalls in an article, for Le Corbusier mathematics contributed reason to the work by means of the calculation, while geometry gave sensitivity to the artist. “The sense of order is of a mathematical quality,” said the architect. In 1926, Le Corbusier would give a twist to the established canons with his famous Five Points of a New Architecture. According to his philosophy, buildings had to be designed with a ground floor on stilts, the free design of the ground plan and façade, a horizontal elongated window and a roof garden. Reinforced concrete piles and right angles characterize the Villa Savoya designed by Le Corbusier. Credit: End User. According to Gutiérrez Labory, among all the geometric elements, Le Corbusier gives the most importance to the right angle. “For him, drawing a cross, which is made up of four right angles, implies seizing space, each one taking possession of its universe, because the axes of coordinates are present on the cross, where space can be measured and represented,” says the expert. Calculation and geometry united in high architecture. 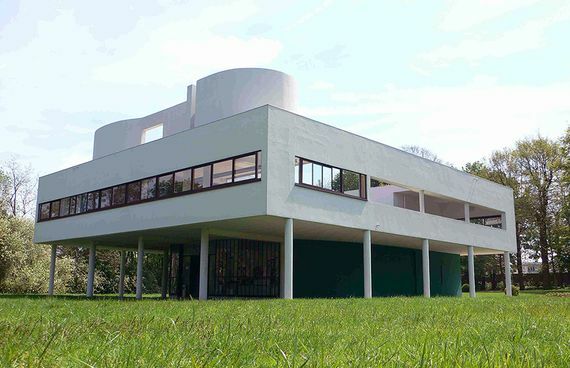 An example is the Villa Savoya (France), situated on reinforced concrete piles and in which right angles predominate. After more than 20 years studying proportion, the architect published in 1950 an essay that would be used by successive generations of builders. The Modulor, a harmonious measure to the human scale universally applicable to architecture and mechanics, defines in its long title what it is: a measuring system proportionate to the dimensions of the human body. In this way, using the statistical median of the size of a human, Le Corbusier set a series of measurements to define the proportions of the parts of a building, its structures and even the graphic designs. For example, the height of 2.26 metres, which corresponded to a man with his arm raised, determined the vertical dimension of the Housing Unit of Marseille (France) that the architect designed. “It is probably the most complete proportional system imagined during the twentieth century,” says Jean-Louis Cohen, a professor at the Institute of Fine Arts at the University of New York (United States), in an article published in Architectural Histories magazine. In 2016, half a century after the architect died of heart failure while swimming on the Riviera, UNESCO included his work on the list of World Heritage Sites. These include the Marseille Housing Unit, the chapel of Notre Dame du Haut (France), the National Museum of Western Arts in Tokyo (Japan) and the Chandigarh Capitol Complex (India). UNESCO emphasises how in this last construction the architect used the Modulor as a harmonic system of proportions. 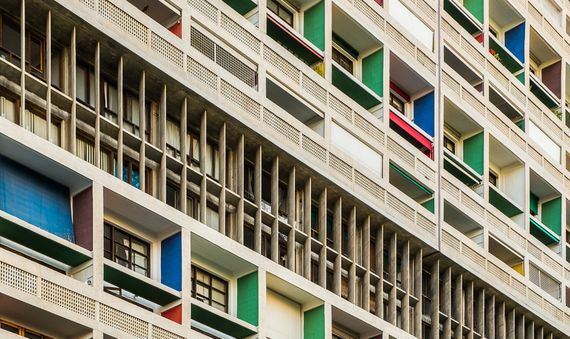 “The global influence achieved by the architectural work of Le Corbusier on four continents is a new phenomenon in the history of architecture and demonstrates his unprecedented impact,” notes the agency. Indeed, an architectural revolution that was not conceived without a geometric grounding.